Cramer & Anderson is a Silver Sponsor of the 2018 RVNA Health & Wellness Fair, being held from 10 a.m. to 3 p.m. Saturday, April 21, at East Ridge Middle School in Ridgefield. 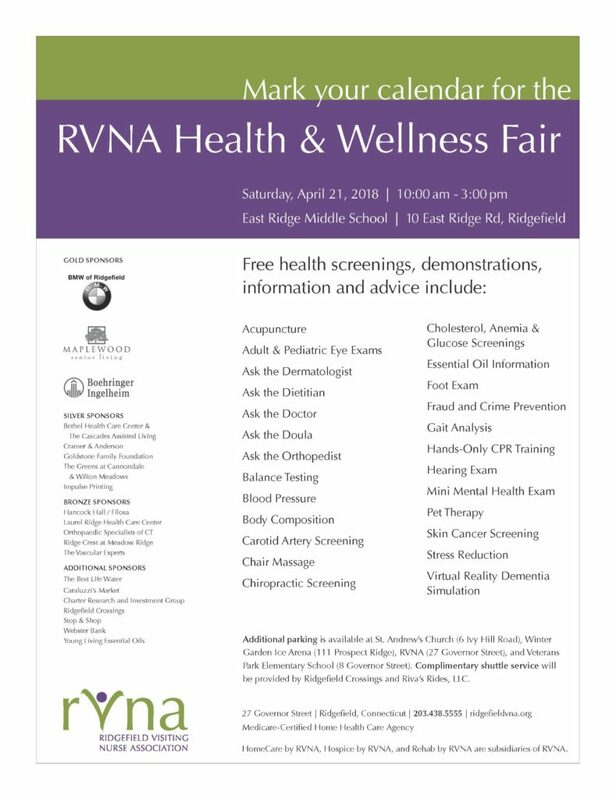 The firm will have a table at the Ridgefield Visiting Nurse Association event, which RVNA says will showcase more than 90 health exhibitors and experts performing screenings and demonstrations, as well as wellness professionals and community groups offering fun activities and valuable information. “Raffles and giveaways round out the day. There’s something for everyone, so bring the entire family,” RVNA says on its website. 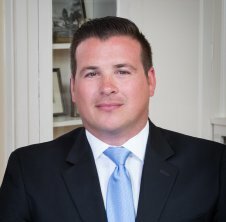 Visitors to the Health & Wellness Fair will be able to stop by the Cramer & Anderson table and meet Attorney Joshua Weinshank, the Trust and Estate Partner who opened the newest Cramer & Anderson office in Ridgefield last fall. He and colleague Graham Moller, a general litigation Associate, will provide an introduction to the firm and answer questions. Attorney Weinshank, who lives in Ridgefield, was named to the RVNA’s Finance Committee last fall. The RVNA, a private, nonprofit organization founded in 1914, has a mission of providing exceptional home and community health care services, supporting public health and safety and promoting the highest quality of life. Its staff of nearly 300 provides those services in an expansive coverage area, encompassing 28 towns and extending south to Weston and Westport, north to New Milford and northeast to Southbury and Woodbury. In 2016 Attorney Weinshank was appointed to the new Planned Giving Advisory Council formed by Ability Beyond, and later became Co-Chair of the committee.